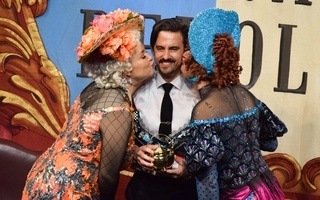 Hasty Pudding Man of the Year Milo Ventimiglia accepted the company's Pudding Pot Friday, following the theatrical company's traditional roast. 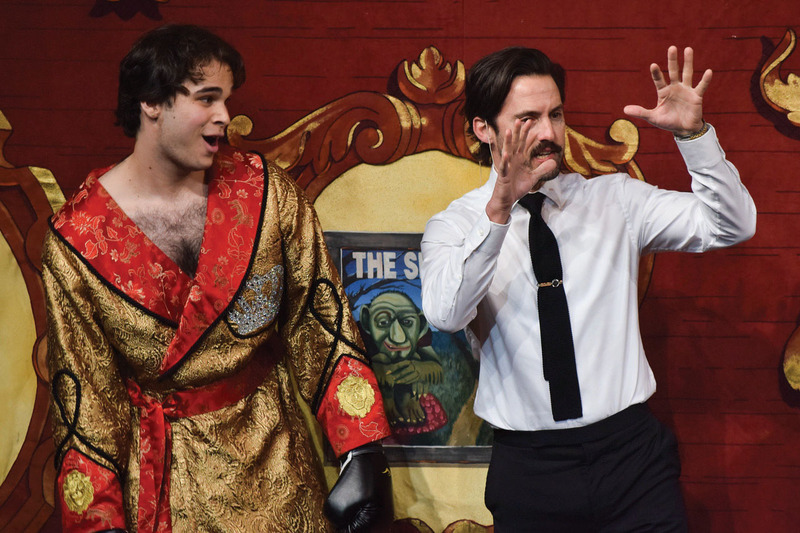 The Hasty Pudding Theatricals honored actor, director, and producer Milo Ventimiglia, the group’s 2019 Man of the Year, before the premiere of its newest production Friday evening. The Man of the Year festivities included a celebratory roast of Ventimiglia and the presentation of the Pudding Pot — the award given to Man of the Year and Woman of the Year honorees — on the Farkas Hall Stage. 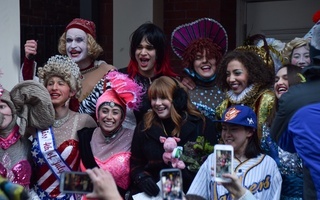 Each year, the Pudding bestows the title of Man of the Year and Woman of the Year on “performers who have made lasting and impressive contributions to the world of entertainment.” Bryce Dallas Howard, the 2019 Woman of the Year recipient, was honored with a parade and celebratory roast last week. After a press conference, Ventimiglia attended the first performance of “France! France! Revolution,” the Pudding’s 2019 musical production. 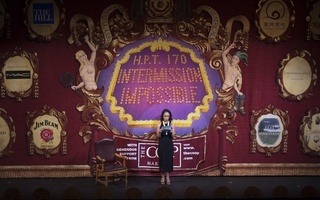 That first performance marked a historic moment for the 171-year-old theater troupe. After more than 150 years of putting on shows with all-male casts, the Pudding announced last winter that it would start including female students in its productions come 2019. Women were previously limited the troupe's business, tech, and design boards. Ventimiglia praised the Pudding in a press conference Friday for admitting women to its cast. “It’s absolutely the right thing to do, it’s the greatest thing to do, because the heart of the artist isn’t only in one person, one type of person, one way of being — it’s really in all of us,” he said. 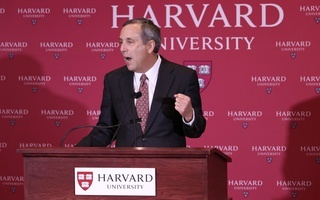 Before the roast, Chairman of the Hasty Pudding Institute Andrew L. Farkas ’82 welcomed University President Lawrence S. Bacow, who attended the performance with his wife Adele. Bacow is the first University president to attend the premiere of a Pudding production. Farkas said in his speech that Sunday’s performance would make history. His comments about female cast members drew cheers from the audience. Pudding producers Elizabeth C. Mann ’20 and Mariana C. Sanchez ’20 led the celebratory roast of Ventimiglia. Three of the six women cast in this year’s production also participated as characters in the roast. Jokes ranged from comments on the actor’s early career roles to his status as the sexiest vegetarian alive, as determined by the People for the Ethical Treatment of Animals. Ventimiglia said in the press conference that he feels “overwhelmed” and “a little speechless” to receive the award. “I’m grateful and honored to be given this by the future of entertainment — really the future of the world,” he said. 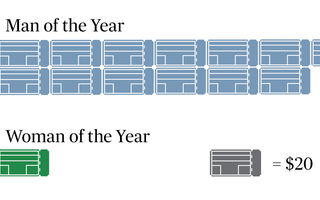 —Staff writer Isabel L. Isselbacher can be reached at isabel.isselbacher@thecrimson.com. Follow her on Twitter @IsabelLarkin.